A team of scientists, led by Dr. Sietske Batenburg at the University of Oxford's Department of Earth Sciences, in close collaboration with German and UK institutions, have discovered that the exchange of water between the North and South Atlantic became significantly larger fifty-nine million years ago. 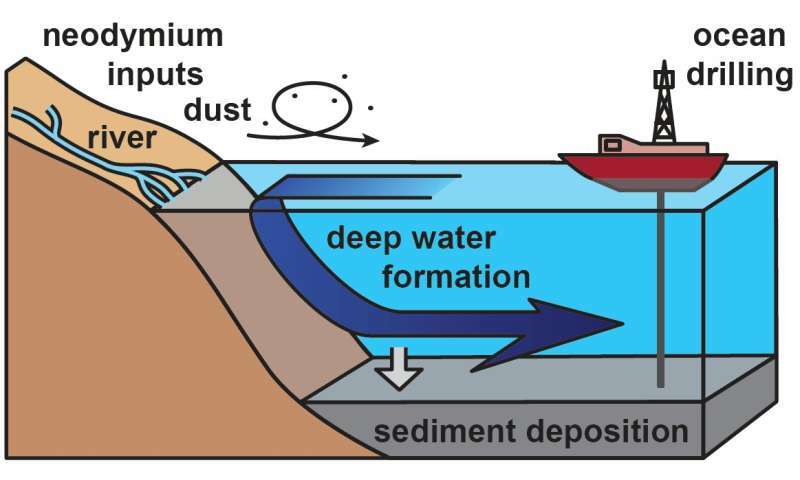 The scientists made this discovery when they compared neodymium isotope signatures of deep sea sediment samples from both regions of the Atlantic. Their paper "Major intensification of Atlantic overturning circulation at the onset of Paleogene greenhouse warmth' published today in Nature Communications, reveals that the more vigorous circulation together with an increase in atmospheric CO2 led to a climatic tipping point. With a resulting more even distribution of heat over the earth, a long-term cooling phase ended and the world headed into a new greenhouse period. Dr. Sietske Batenburg says: "Our study is the first to establish how and when a deep-water connection formed. 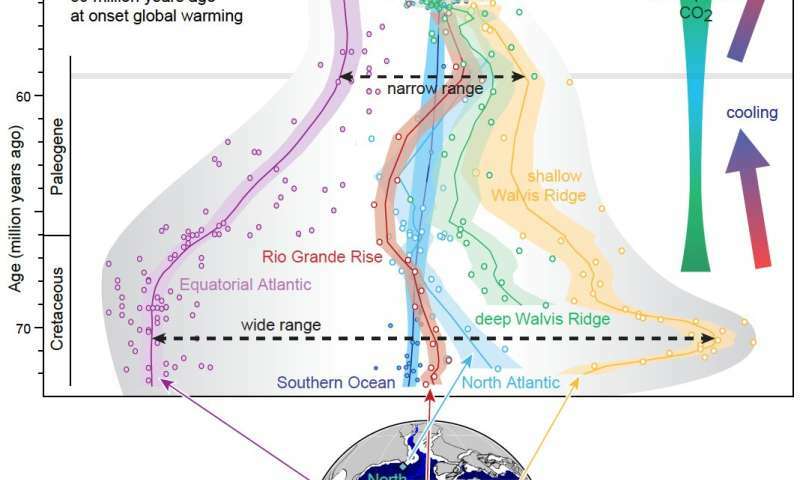 At 59 million years ago, the Atlantic Ocean truly became part of the global thermohaline circulation, the flow that connects four of the five main oceans."